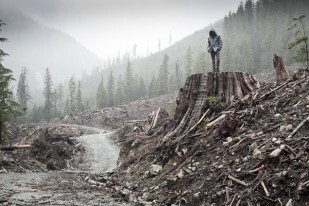 This look at the 2011 Sundance US Documentary Competition reaches the halfway mark with Director Marshall Curry and Co-Director Sam Cullman’s exploration of activism outside the law, IF A TREE FALLS: A STORY OF THE EARTH LIBERATION FRONT. Director Marshall Curry is of course known for the success both of his previous documentary features have achieved – 2005’s STREET FIGHT won awards at Tribeca, Hot Docs, and Silverdocs before going on to be nominated for both an Oscar and an Emmy, while 2009’s RACING DREAMS also won at Tribeca and is being remade as a narrative feature by DreamWorks. Co-Director and Cinematographer Sam Cullman’s previous work includes serving as an Associate Producer on GIULIANI TIME and the Director of Photography on KING CORN and Sundance 2008 alum THE RECRUITER. Curry and Cullman go beyond the sensationalism that has characterized most of the media’s coverage of the ELF to get to a deeper exploration of its controversial methods and agenda, raising thought-provoking questions about activism vs terrorism and the justice system in the process. For screening dates and times at Sundance, click the link in the first paragraph above. The film also has a placeholder website which interested readers could check for future screening updates.